Allow me to preface this post by stating right off the bat that I am not, nor have I ever attempted to present myself as a safer skincare expert. The thing is, once you’re known and trusted for advice on one topic, it seems folks tend to want to know what advice you might have on other (sometimes related and sometimes not) topics. There are folks I follow who write about fitness who I then ask about their apparel. It often goes hand-in-hand. It makes sense that if you know someone (as well as you can over the Internet), you like them, and you trust them, well… you may want to know what they choose do to in more than one area of their life. Just because you originally came here for recipes doesn’t mean I don’t have a distinct point of view when it comes to other aspects of my life. While I certainly have made a lot of thoughtful decisions around the types of products I use on my skin, I wouldn’t say they’re all perfect. In other words, I don’t know that every product that I’m using the absolute healthiest, least-toxic, safest version you can possibly find out there. But you have to know this as well: I don’t have an autoimmune disease, I am not in a process of significant healing, and I am a normal person. I do the best I can, with what I have, where I am. I choose some things that aren’t going to seem perfect to everyone. I make my choices based on my own needs. I’ll choose safer skincare and cosmetics whenever possible and whenever they also perform as I want and need them to perform. I’ve said many times that when I wear makeup, it’s mostly for on-camera purposes. Meaning, I don’t wear much makeup in my daily life. I had my eyebrows micro-bladed and have lash extensions applied regularly – neither of which would be considered “Paleo,” I’m sure, both in an effort to save time and effort in applying makeup. In my everyday life, between the gym and home for the most part, I don’t apply much makeup save for some under eye concealer. So, when I explain the cosmetics that I use, both the safer skincare types and the perhaps not, realize that I am not wearing all of these products daily. I’ll note how often or for what purpose I wear or use each item. Also, I realize that these are certainly not all budget-friendly options. While I can definitely understand that these are not all items within reach for everyone at all times, these are what I use. Take it or leave it. You asked, I am answering. So, if you feel like you want to criticize my choices or complain about the prices of anything I am listing here, don’t. It’s none of my business how you save or spend your money. I’m sharing this to answer one of the most frequently asked questions that I get, but it’s not the place for you to comment with your opinions on the prices. It would be really rude to do so, frankly, so refrain. Comments of that nature will be deleted. And, one last caveat here… as with anything, you need to know yourself! Don’t expect someone like me to know what will be best for you and your skin. Also, with everything in life, it’s fair to take some input and advice on your decision making process, but ultimately, you need to try things for yourself to decide if you like them and if they work well for you. No amount of research or advice can tell you that. Seriously. Whether it’s nutrition, workouts, skincare, or whatever. You really need to try things for yourself to make your best decision. I’ll start with products I use daily/most often, then go from there to those I use sparingly or not very often but enough to note them. These are only facial products, I'll have to detail more safer skincare body and other products in a separate post because this one's big already! Let me know in the comments below what kinds of products you want to know about beyond this. If you'd like to receive updates on safer skincare, make sure you sign up for my beauty-focused newsletter here. Thanks! I lather it up by hand, apply it with my hands, then wipe off with a washcloth. You can splash it off in a sink or let the shower run over you face, but I can’t do that with lash extensions. It does not stain my washcloth despite its black color in the bar. This bar is my #1 favorite product from Beautycounter. If for some reason I couldn’t ever buy anything else from them ever again, this would hands down be the product I’d miss the most. Before using this charcoal bar, I wasn’t washing my face at all. I had done oil cleansing with coconut oil for a couple of years prior, but then I started just using water to remove my makeup. I know, it was weird. And I felt like I was getting it all off using nothing at all. And I sort of was, but my skin was never as luminous and smooth as it’s been for the last year or so since I started using this bar. As far as I know, the Charcoal Cleansing Bar is safe for all skin types. For those who may have really dry skin, you may want to use it less often than I do. I have used the Charcoal Cleansing Bar for about a year. EWG's Skin Deep Rating. 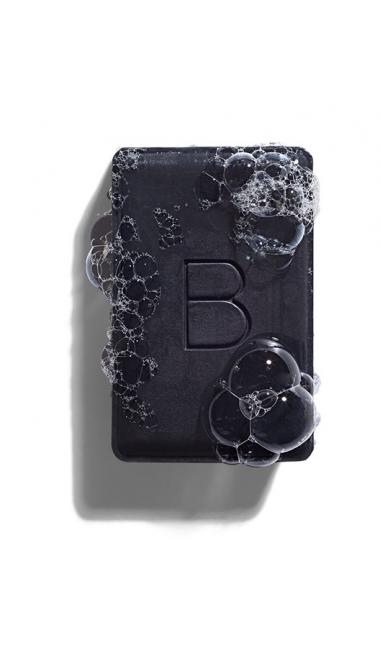 Buy the Charcoal Cleansing Bar. To improve the texture and brightness of my skin. I apply this serum in the morning after I wash my face. I use 2-3 pumps and apply it with my hands/fingers. First off, this product smells amazing! What a wonderful scent to apply to your skin in the morning – coffee! I’ve found that my skin seems brighter and more “awake” while using this serum. I also love that it serves as my morning moisturizer under makeup. I apply it right after washing my face, then allow it to “sink in” a bit while I style my hair before applying makeup over it. If it’s a bit too thick, sometimes I’ll blot a little off before I apply makeup. This serum also includes some other wonderful ingredients for your skin, like collagen protein and argan oil. It’s a superfood serum for your face! I have used Coffee Bean Face Serum for about a year and a half. No EWG Skin Deep Rating found, but the ingredients are all listed on the product website. Before I leave the house, every day – to the gym or anywhere. No one needs to see my dark circles! No matter how much I sleep, they are there. I turn it up a few clicks, then brush it on my face under my eyes. I also apply it to my smile lines or over pimples if I have any bad ones. I blend it in with a Beauty Blender. I bought the branded version because I didn’t want to be disappointed with a knock-off/off-brand version but I’m sure other less expensive options will work fine. Honestly, I found it on a whim at Sephora before my last book tour and I found the coverage to be really great. I don’t need to apply a million layers of it. One, maybe two in some spots works great. It also lasted me for. Like. Ever. I think one tube of this probably lasted me more than four months. And this is with a daily use or nearly daily – and extra applications while on tour – so I feel like this little guy is totally worth the spend. If you want a safer skincare option for a concealer, the Beautycounter concealer pen is a great choice and it’s the one I used before this. 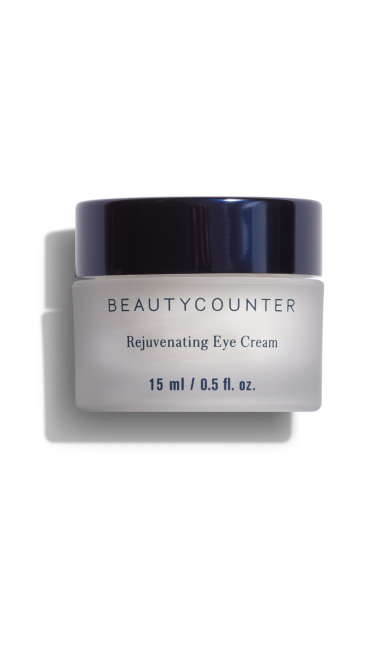 If you don’t have extremely dark circles or don’t need to cover as much up, I do think the Beautycounter product is great. For on-camera (read: intense coverage) looks, however, the Smashbox simply stands out for me. I have used this Smashbox concealer for a little more than four months. No EWG Skin Deep Rating found for this Smashbox's BB Cream (only old 2013 formula). Buy this concealer on Amazon. Potent, antioxidant-rich Vitamin C applied topically is known to promote brightness and encourages softness and elasticity to support the appearance of more youthful skin. I use C-Ex at night, before bed. I find the scent to be really strong and not the most delicious smelling, so I really don’t want to apply it in the day time. I am fairly liberal with the application of this serum- I use 1-2 droppers full and apply it to my entire face and neck. I blot it a bit if I go overboard, but I am just going to go to sleep with it on, so I don’t mind if it’s pretty thick! Because I’m not getting any younger over here. But seriously, I find that using oils that are vitamin-rich has improved the texture and appearance of my skin while also keeping it moisturized appropriately. I have naturally combination skin – oily in my T-zone and dry a bit around my mouth/chin if I am not using the products listed on this page. That said, I don’t find that applying oil leaves me any more oily than normal. In fact, my skin seems much more evenly textured now than ever before. I have used C-Ex for about two years. EWG's Skin Deep Rating. I mostly remember this at night before bed. I apply it with my finger. Just recently I’ve started dry brushing my lips with a random toothbrush that I don’t brush my teeth with first, then applying the lip conditioner. I like how this product keeps my lips smooth, I’m turning 39 this year – yikes! It isn’t overly thick or waxy, and I really like the peppermint scent. This isn’t the only lip product I use, but it’s the one I use most often. I also like the lip balm from Primally Pure – the cocoa scent is insane! I think a stick versus a little pot is better for on-the-go when my fingers may not be as clean to apply it as they are at home. 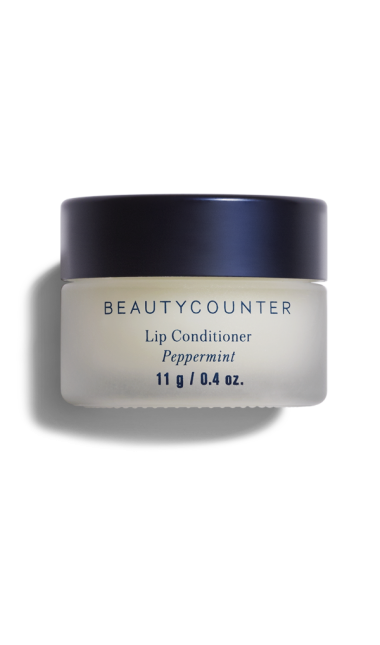 I have used this Lip Conditioner for about three months. EWG's Skin Deep Rating. Reduce dark circles under and fine lines around my eyes. At night, after applying C-Ex before bed. I dab it on with my ring finger under each eye and around to the outer corners as well. Did I mention I'm about to turn 39?! I have used this eye cream for about a month. EWG's Skin Deep Rating. A few times per week use. Improve my skin’s tone/brightness, texture, and clarity. Whenever I think of it, I tend to use this either a couple of times per week in the evening before bed and before applying my C-Ex serum (mostly, though sometimes it’s during the daytime). I wipe my entire face and neck, and then the back of my hands with these wipes. These wipes provide a very light “peel” or exfoliating effect to brighten my skin and leave the texture really smooth and glowy without any of the downtime that would come from a stronger chemical peel. I find that these are stronger than the Charcoal Mask, but feel different and I use them both. These are especially great for travel as they’re packaged in single-use wipes. I definitely notice my skin seems brighter when I remember to use these regularly. I found these by chance at a Blue Mercury store one day several years ago and was given a trial. I loved them so much I’ve added them to my regular routine. No EWG Skin Deep Rating found. Buy Power Glow Peel wipes it on Amazon. This is what I use as foundation/powder in one. When I want some coverage on my complexion beyond under my eyes. I apply it with a brush, one is pictured above, but I vary the brushes I use. I don't know the single best one to use. I can apply a lighter layer for a daytime look, or a few layers for an evening or on-camera look. Hayley Mason (of Primal Palate) introduced me to Jane Iredale mineral-based cosmetics line years ago and I've liked and used it ever since. I prefer this to others I've used simply for coverage purposes and because I find that my skin was a bit oily for the Beautycounter foundation for on-camera looks. As I mentioned before, I rarely wear makeup in everyday life (if I apply it more than twice a week that's a lot), so I only truly want and need it for a more intense look for on-camera. If you are looking for a safer skincare option here and wear makeup daily, I'd go with the Beautycounter Tint Skin Foundation with the translucent Mattifying Powder – which is currently sold out, I'm sorry to say, but should be back within a week. I've been using this mineral base for about five years. No EWG Skin Deep Rating found for Jane Iredale's Mineral Powder. Buy Amazing Base on Amazon. See more of my current favorite makeup picks here. When I'm putting on makeup. I only apply this to my lower lashes since I have lash extensions on my upper lashes currently. I usually just apply one coat. From what I understand, mascara can be one of the more toxic makeup products that we use, and finding a good, safer option isn't that easy. I know lots of folks love this one, and some don't. I can't tell you if you'll like it or not, but I do. It's water resistant (not waterproof) and stays on pretty well. You'll need coconut oil or another oil to remove it, but I honestly just let it wear off when it's ready to, since I can't use oil-based makeup removers on my eyes. Again, lashes. I've been using this mascara for about 6 months. EWG's Skin Deep Rating. A few times per month use. A freshen up, improve the texture of my skin. Once a week or so I'll apply this mask. I apply it from a small dish with a flat brush (I have one from Beautycounter but any will do!) evenly on my face. I use about a nickel-sized dollop at a time. I love how my skin looks and feels after this mask. It “exfoliates” without abrasion – my skin is smooth and glowy, and feels firmer/tighter but not in a dried out way. I have used the Purifying Charcoal Mask for about a year (ever since it released). EWG's Skin Deep Rating. Buy this Purifying Charcoal Mask. Usually after a shower, when I want to stay in my robe for another 20 minutes but somehow feel “productive.” Working on your skin is a thing, right? Okay, this gets a little weird… but I cut mine into pieces before applying it to my face. I do this partly because I have a large forehead and very large eyes (thanks, Dad! ), and I need space for my eyeballs to fit. I also do this partially to avoid having the mask cover my eyebrows, which are microbladed as I mentioned previously, and I'm not sure if this brightening would lighten that ink or not, so I avoid them. I also just generally find it easier to wear this if I cut the forehead off, then cut the nose piece out, then cut the cheek/chin area in half vertically, so I can apply it left and right side separately. Look, your face may feel just fine in this mask as-is, but I like to cut mine. Do as you wish. I've also started pouring the extra liquid from the package into a jar of face pads that I have that seem kind of dry. I feel like this helps me use the potent product in more ways, so I do it. I really like that these are easy to find both online and in stores (I first found them at Whole Foods and you can often find them on sale, even up to half-off!). They're great if you're traveling and they're also a great option if you forget to bring a similar product on a trip or you feel like your skin needs some pop while away from home since, again, you can find them at nearly any Whole Foods nationwide. I've also used several other of the Andalou Naturals sheet masks and have loved them all, but the brightening is my #1 favorite. Their pods o' mask are also great. The Instant Brightening Face Mask (Pumpkin Glycolic) – which appears to now be in a different package from what I have in my main photo – is my favorite of those, and I also love the Instant Clarity Clay Mask but again I've tried several and have really liked them all. My skin always looks and feels really refreshed after using these. I have been using masks from Andalou Naturals for about a year. EWG Rating for Andalou Naturals products. Buy this Brightening mask on Amazon. So, as I said earlier, these are only facial products, so comments below to let me know what kinds of health and beauty products you want to know about beyond this. Thanks! Affiliate disclosure: Diane Sanfilippo / Balanced Bites, LLC may earn a commission on purchases made through the links on this website. Diane makes no recommendations based solely on compensation, but rather recommends products she truly loves and believes you will as well. Any commissions earned through your purchases are a great way for this blog to remain free for your access, and for you to continue to learn about great products. You can be confident that Diane will never recommend something she doesn't love simply due to a financial agreement or potential financial gain. Hi Diane! Is there something you would recommend for sun spots? Hi Amanda – I love the Beautycounter+ #1 Brightening oil. I’m looking for a complete skin care package for my 17 year-old daughter who is very acne prone. We are working on the “inside” but would also like to get her set up on a system that is easy to follow and “fun”. She is a girly-girl and loves all the potions, masks, and bars, but I just want to make sure she isn’t over-doing it. Hey KK- I love this Clean Beauty Go-Tos set for her to start out! Then you can add more from there!